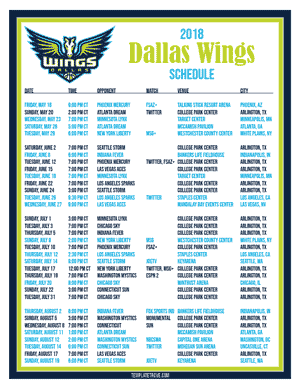 Keep up with the Dallas Wings basketball team in the 2018 season with our free printable regular season schedules. Schedules print on 8 1/2" x 11" paper. Click thumbnails of schedules to enlarge.